Host riders from La Patrona, playing for the teams RivieraNayarit and St Regis Punta Mita, had an outstanding performance and won first and second place of the Riviera Nayarit Interclubes Polo Cup celebrated on November 18th-20th at San Francisco Nayarit. The tournament received attention from more than 50 journalist from national and international media. 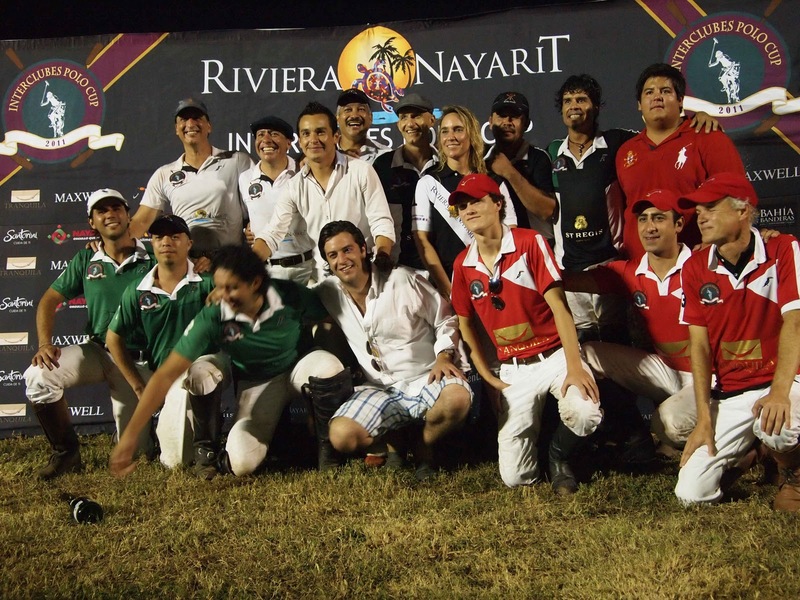 Riviera Nayarit Interclubes Polo Cup had the participation of outstanding players from the Quatroportte Interclubes Polo Cup, celebrated in anticipation at Guadalajara. Four teams, the two hosting the event and visitors from Guadalajara and Aguascalientes, fought for the crown of the tournament playing four seven minute chuker games. The Final match, played on Sunday between Riviera Nayarit and St Regis Punta Mita Teams, had a tight score, but the Riviera Nayarit won the first place. Most Valuable Player trophy went to Jaime Rincón Gallardo Jr. from Aguascalientes. “High endurance sports are a key niche to promote Riviera Nayarit as a luxury destination, as they deal with people who are strongly focused on achieving goals, and who also have purchasing power and a well developed environmental culture, which provides the ideal conditions to promote our destination attract tourism and to generate economic benefits for everyone”, said the President of the Convention and Visitors Bureau (CVB) of Riviera Nayarit, Fernando González Ortega. To prove this, the event for itself attracted the attention of 40 representatives from national media as well as 15 from the US, that will be writing soon about the luxury in Riviera Nayarit, contributing to this promotional efforts. Also, the tournament was open to all public for free, a luxury for all the people in the Riviera Nayarit. The CVB of Riviera Nayarit is a public non-profit association dedicated to promoting tourism on the coast of Nayarit, from its southern border with Jalisco in Nuevo Vallarta to Novillero, next to bordering Sinaloa on the North, by integrating the promotion of historic and cultural sites.